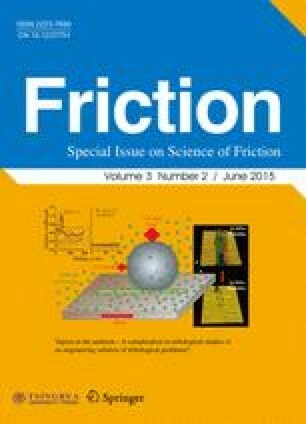 The paper is devoted to the contributions of Coulomb and Amontons to the physics of friction from the viewpoint of current discussions and attempts to formulate generalized laws of friction. Elena POPOVA. She studied Slavistics at the Tomsk State University, Russia (graduated in 1987 with degree Dipl.-Phil.) and German literature studies and philosophy at the University of Paderborn, Germany (graduated in 2003 with degree Magistra Artium). She worked at the Tomsk Pedagogical University, Russian Academy of Sciences and later at the University of Potsdam. Since 2007 she coordinated double degree programs in Engineering Science with Russia and China at the Berlin University of Technology and carried out research in the field of history of tribology. Valentin L. POPOV. He is a full professor at the Berlin University of Technology. He studied physics (1976–1982) and obtained his PhD degree in 1985 from the Moscow State Lomonosov University. He worked at the Institute of Strength Physics of the Russian Academy of Sciences. After a guest-professorship in the field of theoretical physics at the University of Paderborn (Germany) from 1999 to 2002, he has headed the Department of System Dynamics and the Physics of Friction in the Institute of Mechanics at the Berlin University of Technology. His areas of interest include tribology, nanotribology, tribology at low temperatures, biotribology, the influence of friction through ultrasound, numerical simulation of frictional processes, research regarding earthquakes, as well as themes relating to materials sciences such as the mechanics of elastoplastic media with microstructures, strength of metals and alloys, and shape memory alloys. He has published 30 papers in leading international journals during the past 5 years. He is the author of the book “Contact Mechanics and Friction: Physical principles and applications” which appeared in German, English, Chinese, and Russian editions. He is the joint editor of international journals and regularly organizes international conferences and workshops over diverse tribological themes. He is a member of the Scientific Council of the German Tribological Society. He has intensively collaborated with many industrial corporations and possesses experience in implementing the results of scientific research in industrial applications.